On Sunday the 25th of November our very own Larrikin Lock, Frank Saffery, was out at the Shuto League rep team trials at Yanokuchi. 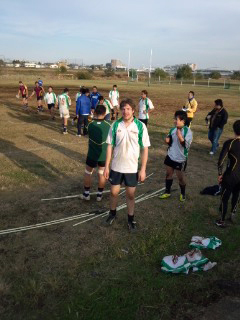 Will he get selected ?…who knows, but he had a good time attempting to smash up various members of the Tokyo Gaijin RFC, who were running opposition. Goodonyer, Frank. Thanks for keeping our end up.